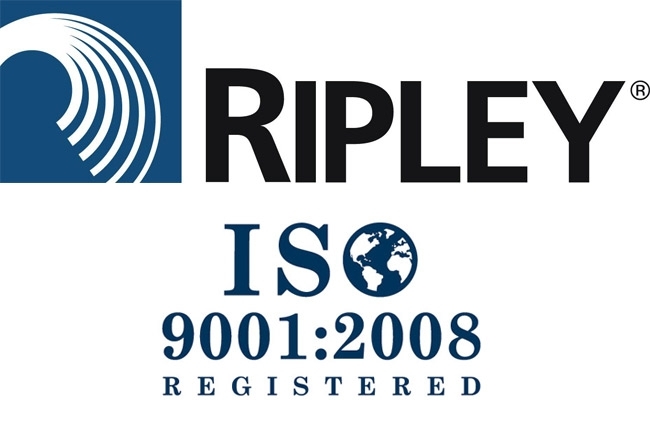 The Ripley Cromwell Connecticut facility is proud to announce that our quality management and assurance system has been certified and found to be in conformance with requirements listed in ISO 9001:2008. We received our Certificate #14997 on September 6, 2013, which will be valid until September 4, 2016. ISO stands for International Organization for Standardization. An ISO 9001:2008 Certificate shows a company’s adherence to quality management practices. In becoming certified, our Cromwell Connecticut facility has been certified to satisfy requirements of ISO 9001:2008 with respect to the quality management system governing the products we provide to our customers. This certification further strengthens our commitment to our customer where we will adhere to our company’s Quality Policy to «exceed customer satisfaction through innovative quality product development, relentless pursuit of continuous improvement, world class operational excellence and the promotion of employee development and involvement». Our successful ISO certification was accredited by NQA.